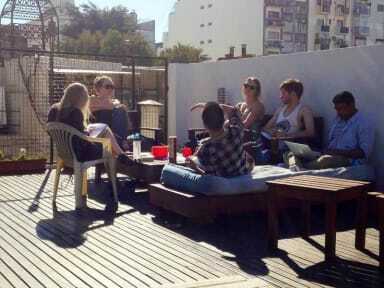 Reina Madre Hostel kohteessa Buenos Aires, Argentiina: Varaa nyt! We have ten rooms equipped with air conditioning / heating, large lockers for each guest, desks and comfortable beds. Managed by the owners, it is our pleasure to host people from all over the world and do everything possible so you are comfortable during your stay and keep a good memory of our beautiful city. 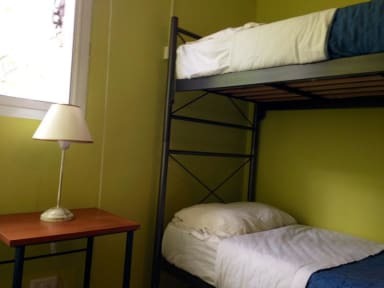 The hostel has three large common areas: the living room, the dining room, and the kitchen. The living room is equipped with cable TV and a DVD player, as well as sofas and tables. There are also seven individual bathrooms, a roof garden, and a fully-equipped kitchen to make you feel at home.